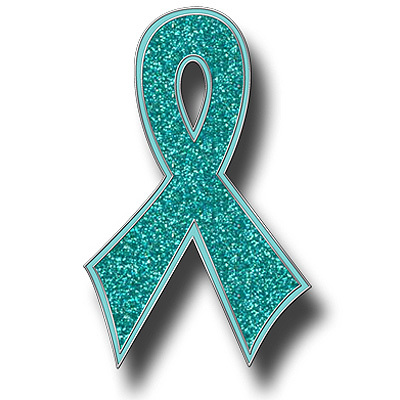 This is a beautiful Teal Ribbon pin with a glitter look. Pin is 1 1/4" tall. A perfect way to show your support for Ovarian Cancer Awareness.